OL#34, OA#34, one of 2 prints. [label]: Mrs. Robert Arneson, North Shore Road, Oswego, Oregon. Description Mounted on cardboard; faded. 369a, b, & c seem to be a copy of this; 1551b & c same image. 369a and 1551b have names of students. 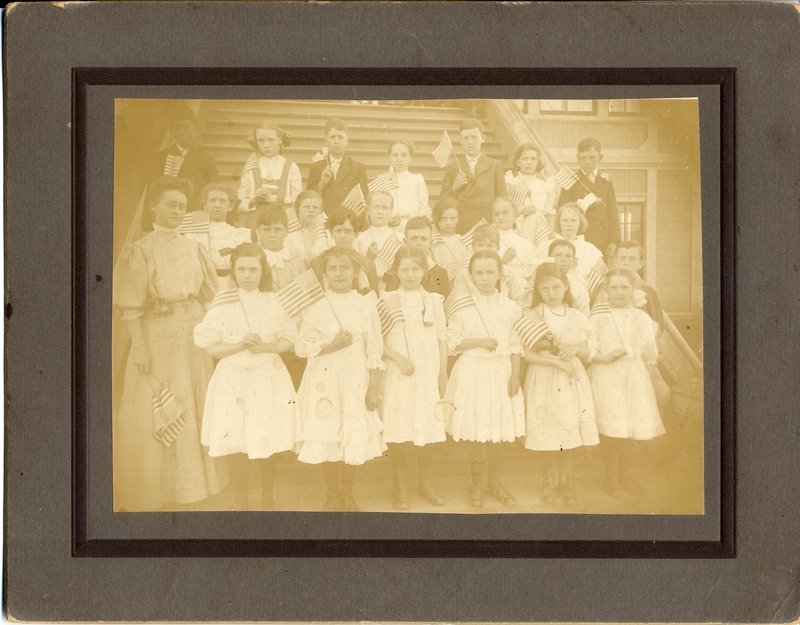 Notes on sheet of paper with photo: OL #34; Oswego 3rd & 4th grade about 1907. (names of most students on back of Library copy. Edna Kingkade, teacher. Transcription OL#34, OA#34, one of 2 prints. [label]: Mrs. Robert Arneson, North Shore Road, Oswego, Oregon. Physical Description H 7 1/4"" x W 9 1/4""